Picture yourself aboard a panga, taking in the sunset against the profile of Isla Magdalena, when suddenly you hear a splash break the surface of the water. 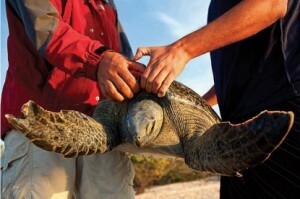 You scramble to the side and maybe lend a hand as your fishermen guides reach down and gently pull a sea turtle aboard. An activity that just a few years ago might have resulted in a group of poachers capturing sea turtles for sale on the black market, now provides a unique setting that puts you in the boat alongside local fisher-conservationists. This is clearly much more than the average travel experience. The company operating the trip—RED Sustainable Travel, is much more than a tour operator, providing training, small business incubation, and sales and marketing support to rural communities throughout Baja California Sur. RED works with communities and local conservation organizations to create Conservation Adventures that let travelers get behind the scenes of some of the region’s most exciting projects, interacting with scientists and local conservation leaders. 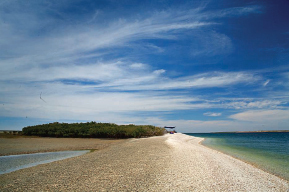 RED works with communities in Magdalena Bay, Cabo Pulmo, and Las Ánimas in the Sierra la Giganta. In Magdalena Bay, travelers from around the world have the chance to participate in a black sea turtle restoration project recognized around the world as a model for community led conservation. Representatives from Grupo Tortuguero de las Californias and Magdalena Baykeeper take part in the experience, providing orientation, first-hand knowledge and a wealth of stories collected over the years. Travelers are guaranteed to walk away with some memorable stories of their own. Travelers are encouraged to participate in the sea turtle monitoring as much or as little as they like. As Luis Garduño, RED’s Operations Manager states, “Some guests want to go out in the panga and pull up the nets every chance they get. I’ve seen others that spend most of their time on the shell beach with their book, taking it in from afar. Everybody finds what they are looking for on these trips, but especially in the kitchen.” The chefs on RED’s Conservation Adventures are known to spoil the guests, providing local cuisine with gourmet flair. Last season, Top Chef Rick Bayless stopped by to trade recipes and film a T.V. episode on the tiny shell island that serves RED’s basecamp and home for your escape from civilization. 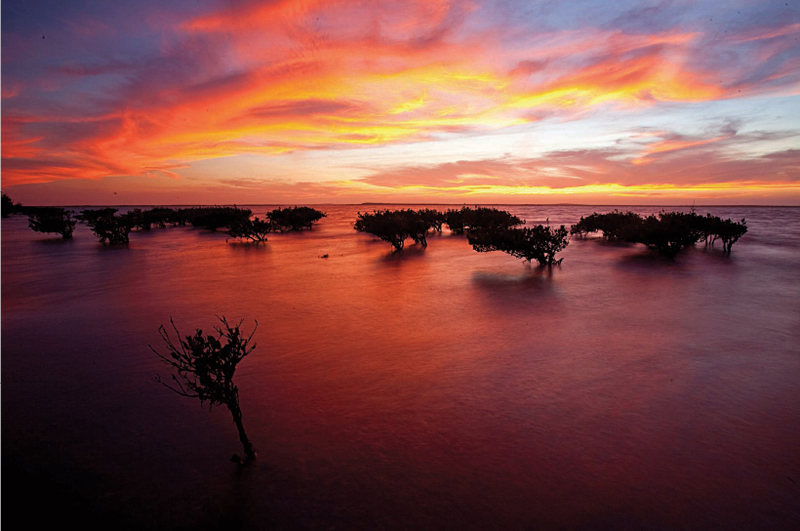 A typical RED Conservation Adventure includes a wealth of activities, from kayaking, snorkeling in the mangrove canals and desert nature walks, to nighttime dune hikes and guided tours through the night sky. From January to March, travelers can witness the incredible Gray Whale migration. And don’t forget the sea turtles. On RED trips, you can become that sea turtle biologist, even if for just a day. The memories are yours to keep forever.